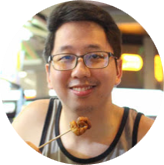 When my brother heard that the Wildflour in Rada, Makati City recently opened, he initiated a dinner out for us to try it out. However, when we reached the place, we were surprised that the branch still was not serving any dinner. Hence, we had no choice but to pick an alternative restaurant. Luckily, we ended up here in Bistro Pamana. Bistro Pamana features a very adorable interior that sends out an air of exuberance and comfort. 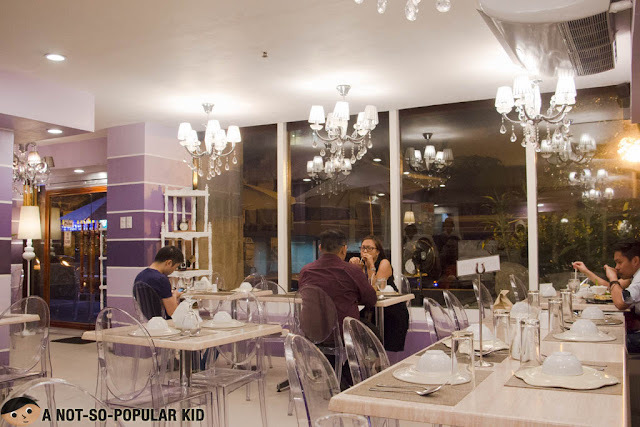 It somehow made me feel like dining inside a doll house especially with the glass-like chairs. The seating capacity of the place ranges from 30 to 35, so you may need to be there before the peak hours kick in. Once I got to see the menu, I was amused by how creative some of the dishes seem. 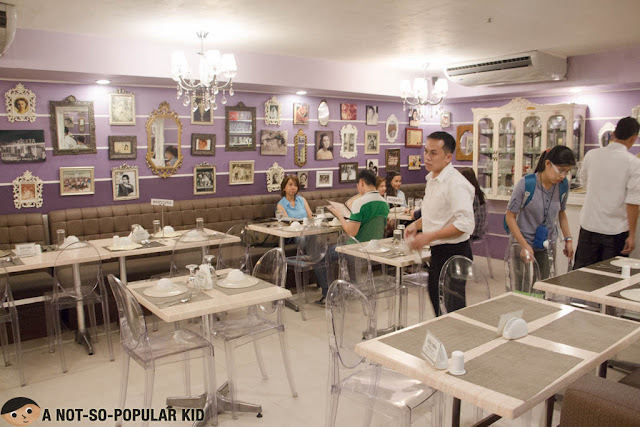 In fact, I like the selection here than that of the Rural Kitchen of Liliw Laguna (read more) in Rada, Makati, which is also a famous restaurant serving Filipino cuisine. 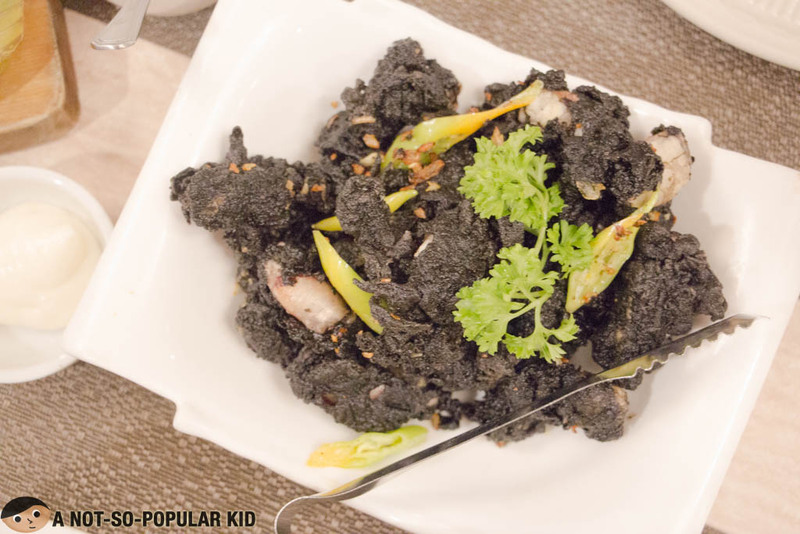 Presented in a highly delightful fashion, the crispy baby pusit was unexpectedly delicious! The black ink that coats the baby squid gave it a seafood essence that was pretty much enticing! 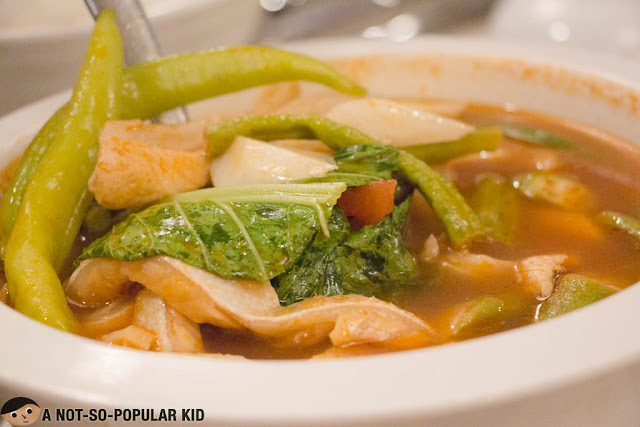 There is a high chance that you'll love this dish! 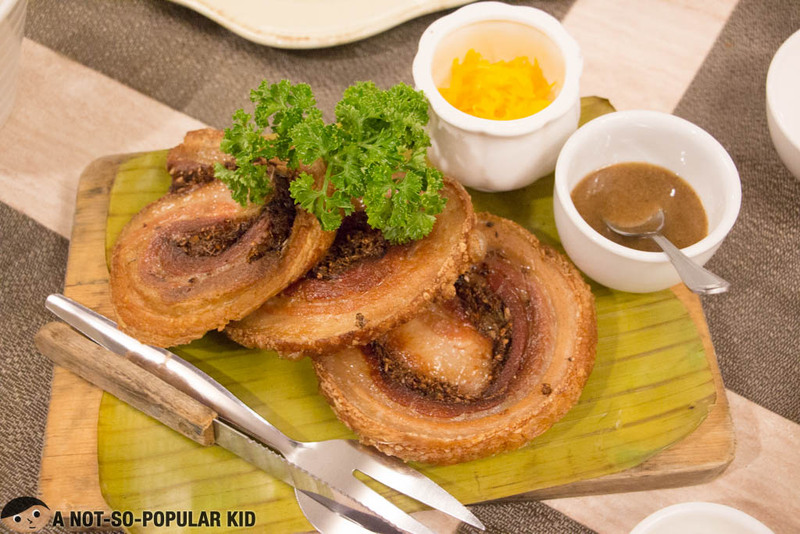 Next one up was this Cebu Belly Lechon, which was naturally fatty. The taste as well as the texture mimics that of the Ilocos, Bagnet. However, this was more herby. You may not agree with me, but I found the flavors of this dish not much in sync with each other. Despite this, I found it rather enjoyable. 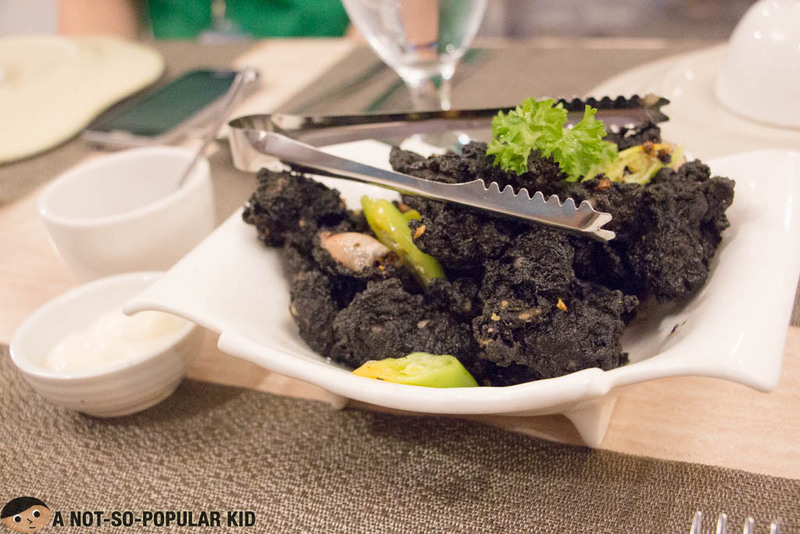 This salmon belly sa sampaloc was surely distinctly sour yet flavorful. The great thing about Pamana is that they let you sample first the taste of the soup before they finally serve the dish to you with all the adjustments, if any. 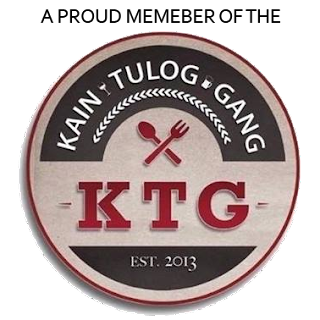 I believe that this dish is sulit! There you go! I hope you found his post helpful, but before I give my overall view, let me thank my brother for treating us! Thanks bro! 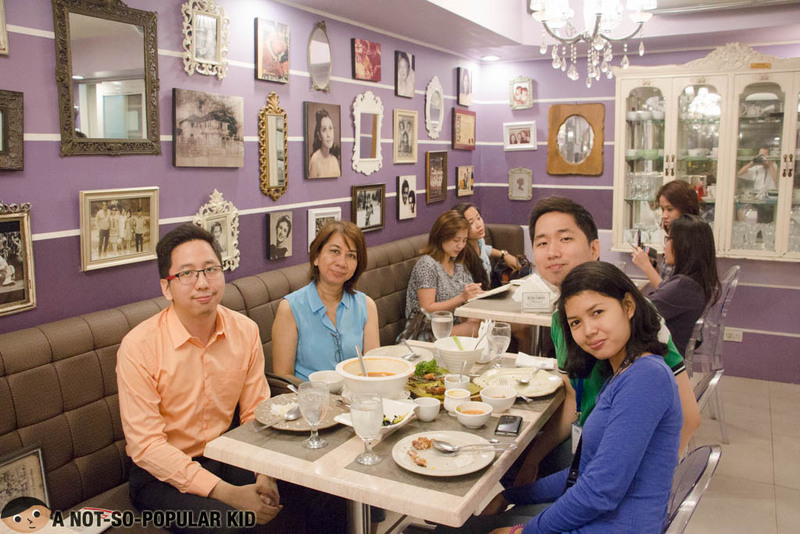 Our amazing dinner experience here in Bistro Pamana enabled me to see a lot of potential here in this restaurant. The dishes we had ranged from great to awesome, and I am looking forward to try other innovative dishes they have here. I definitely agree that this place is a must-visit!